It exists! Well, under glass, anyway. Sony's previously announced 400mm F2.8 G Master OSS is here at CP+ 2018 in Yokohama, Japan, and boy, is it big. Really big. But as you can see from the lack of labeling on all those switches, this is still a prototype. Competition is good. I'd love to see the price of the Canon 400mm DO lens drop. "and boy, is it big. Really big."... well, every 400mm f/2.8 lens is at least this big. What's the point in this statement? 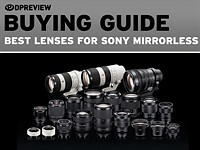 This is great if you are a Sony user with deep pockets and want to go native with lenses.That’s as far as it goes. Game changing is too much of a stretch. The fact is the top end Canon and Nikon gear get the job done. You will not see any significant differences between the systems in terms of output that matter enough to justify the need to change. Further neither Nikon or Canon will stand still l. We all face a future of marginal and incremental changes to specs, most of which will not matter. We are not really looking at a breakthrough so far. If you stop to consider sports and wildlife shooters have been doing what they do without being held back for some years. There is no solid reason to change. "There is no solid reason to change." most people understand simple concepts like 20fps vs. 14fps, no mirror blackout, etc., and why those things matter. As a Canon user, my back up to my FF DSLRs has been a cropped sensor mirrorless M6. I have pre-ordered the A7III - it's time for an FF mirrorless for me. Waiting for initial feedback on banding issues on the sensor to get settled, before I either proceed with or cancel my pre-order. What does that have to do with this lens? The lens line up of Sony is starting to get decent. An incentive not to switch but to try their system at the very least. Quite a few comments saying it looks wrong, what does how it look have anything to do with it - surely we should all be judging it by how it performs in the field, looking forward to seeing the reviews when its released. In my opinion, it won't be long until Mirrorless starts to take over in the sports/wildlife market - don't shoot me for that though......just an opinion. Pro worthy for what? Once you have telephoto you could claim that Sony is usable for sports photography provided the cameras can give the FPS needed for fast shooting. Tilt-shift is a niche area and not an indicator of 'pro' anything. All it tells us is that Canon has a bigger lens range than Sony, and it's going to remain this way for quite a while! Sigma will significantly undercut them on the glass side. They're already starting On E mount glass... just like Tamron. Judging from Sony's history, Sigma's should be about 1/2 the price. I think Sony long glass will not be big seller for Sony due to pricing. The great thing is that Sony don't need tilt-shift lenses because their short flange distance makes them incredibly adaptable. Just get an adapter and use Canon or Nikon tilt shift lenses! @dgumshu - Third-party lenses applies to all manufacturers. And yet, plenty of people still buy OEM. T3... I think we all know that. However, the Sig 500 F4 is 6k. The Sony 400 F2.8 will probably come in near thier 500mm A mount which retails for 13k. The Sig rivals my 500 F 4 ll in resolving power. 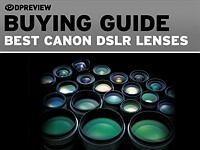 Which lens do you think people are going to buy mostly? For the 7K in savings you can buy a little more gear, don't you think? 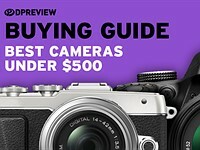 @dgumshu - So it's a fact that the Sony 400/2.8 is going to sell for $13K? Regardless, practically every 3rd party lens is cheaper than their OEM counterpart. And yet, plenty of OEM lenses are still bought. Plenty of people and agencies will still buy Sony OEM, just like they buy Canon OEM and Nikon OEM. I don't see what the big deal is. I think it's great that we have 3rd party options. Why are you so concerned? You seriously seem to have a chip on your shoulder regarding Sony, hahahaha. Frankly, I am VERY pleased that Sigma will be producing a whole slew of lenses for the Sony E-mount system. More choices, and even better if they are at lower prices! What's there not to like about that? One can hardly find any serious discussion about the lens here. Those photos are basically everything what we know about the new lens. What kind of "serious discussion" are you missing? I read through the comments and I found the usual Canikon/Sony/Pentax user(fan) comments. Some with a good sense of humor. :) I loved the comment with the lens cap. Make no sense to have a small camera body and a very big lens. If it were to be so better stay with DSRL body. There is no magic when it comes to lens of long focal length. The hood was not shown but it should be big too. Even "big" cameras look and feel small with lenses this size. It's about balance, handling and ergonomics with long glass. An A9 with grip should work fine. If the lens is front heavy, then there's a problem for tripod use and a heavier body would be more appropriate. 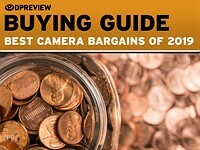 Professional mirrorless cams have a lot of advantages over DSLR beside size or weight. @dgumshu - Good tripod mounting plates (such as Arca-Swiss type plates) allow fore-aft adjustment. That basically takes care of the "balance" issue. You can position the tripod collar foot at a point where you have perfect "balance" no matter what camera or lens combination you use. @Ruy Penalva - It might make "no sense" if the ONLY lenses you EVER used were big telephotos. But the reality is that most photographers also use smaller lenses too. Do you really need a huge camera body if you're going out shooting with a 35mm or 50mm lens? Plus, a lot of pros also travel with MULTIPLE bodies. A lot of big bodies take up a lot more room. Sure, you can't do anything about the size of the big lenses, but if you don't have to carry multiple BIG bodies, then why do it? For proper balance you would need a camera the size of my suitcase. No camera is going to look balanced with a 400. T3... all I use are long lenses, super tele photos... the big whites. Most people tend to replace the standard foot with a replacement foot... ARCA. Few people will use plates as they are not as reliable and come loose. Replacement feet are limited in length, but do work for most combos. However, the less balanced the lens, the less room for adjustment. Consequently, one would have to use a long, perhaps very long plate for a small body and front heavy lens... i.e. Nikon 200-400 which I used for a while. How many of these super teles have you worked with and how often do you shoot with them? And yes, I shoot with multiple lenses and big bodies.. 2 1DX's and a few 5D4's. Not a problem for me. Cantor... the 400 is on the smaller side of the big whites. Not really all that uncommon. It makes no sense if that is your only lens. If you use a wider range of lenses like some primes it makes a lot of sense. You can go much smaller than a DSLR and at worst be about as big. Anyways for me it is mFT for these reasons because all lenses are ranging from the 14 mm f2.5 which weighs nothing (50 gram or so??) to the 100-400 PL at less than a kg and everything in between. But that is me. To keep it on Sony: I think this lens is their next step to convince professional wildlife FF shooters to chose their product and I think this lens is an excellent addition to their FE line up. Well done again by Sony! So with the 70-200 f2.8 , 400mm f2.8 prime, and both 1.4x and 2.0x teleconverters, isn't it time for the A99m2 replacement to be native e-mount and go directly at the 1D and D5 market? Surely you can cram enough batteries into a hand grip to keep up even with the EVF. In what way would a A99m2 replacement with E-mount differ from an A9m2? It would have a far bigger grip, more battery (dual/triple? ), better cooling, and potentially dual processors. And given the direction the A7 bodies have taken (bigger grips, larger batteries), a direction the A9 has taken in a more pronounced way, who says that the Mark II of the A9 cannot have all that? And we know that Sony has been relatively prolific with FF E-mount bodies. Four separate product lines, six models in less than four and a half years. But you'd really think they add yet another product line? And say, even if they do, it would be something like an A8 or an A9r but certainly not something using a model name from the SLT series or a body that is a modification of the A99m2. You can say you want a FF E-mount model with the grip depth, battery life, cooling and all the processor power of the A99m2, but that wouldn't be a successor to the A99m2, it be an extension of the Ax line, the same way the A9 is an extension of that line. The A99m2 was back-porting the sensor guts from the A7rII to an SLT body to keep selling bodies to A-mount lens owners. On one hand, I think it's cool that they finally have some serious long glass. On the other hand, that'll never balance properly on a gimbal head with that tiny camera. Thats not how lenses like this are to be used. Besides, you can add infinite weight to the bottom of the camera if you need to. But again... Why? My father used film cameras ever bit as small as these with large lenses 30 years ago... Never an issue. Not true. A good gimbal head should balance a lens even without a body mounted. After all, you should be able to dismount your camera body from the lens while the lens is mounted to the gimbal without the lens flopping forward! That pic looks more like the lens was on a gimbal that was locked down, not loose. The reason why the mount plate on gimbals is located several inches below the pivot axis is so that it creates a low center of gravity which compensates for differences in weight between various lenses and bodies. 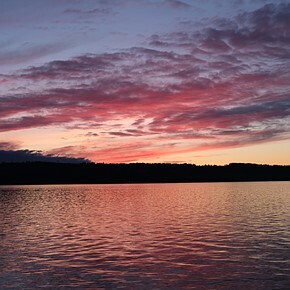 This is what creates that effortless balance that is independent of the exact weight ratio of the camera and lens. It's physics. Stop spreading desperate FUD. And as Thematic mentioned, you can always add a battery grip, or whatever weight you want, to a Sony body anyways! So your point is mute. If you want to mount lead plates to your camera to create "balance" on a gimbal, then go right ahead! But obviously people aren't adding lead weights to their cameras to create balance between their lenses. There is no aftermarket for camera lead weights! Hahaha. Uhhh every camera company designs their lens collars to balance at the center of gravity with a camera attached. The crazy thing is, the OP seems to think that a Sony camera weighs NOTHING. Hahaha. I think people are just desperately trying to grasp at straws, trying to conjure up any reason why a Sony mirrorless body "won't work". One should also remember that most decent mounts and mounting plates allow fore-aft adjustment (i.e. Arcs-Swiss type tripod mounts and plates) so you can dial in the center of gravity of your body/lens combination. That takes care of the balance issue. I have rented both 400mm and 600mm lenses for trips, and when a small body (like my D7200) is attached, there's no amount of adjustment in my Wimberley WH-200 gimbal head or the lens mount to balance it out. You can slide it forward / back all you like, if it's too heavy in the front, it doesn't balance. Ahh yes, name calling, The last refuge of someone who's run out of facts to support their argument. Wow, weird comment. I had an A9 mounted to a canon 600 f4 on promediagear gimbal and amazingly it balanced. How did that happen? Physics? It seems that many of the so called "photographers" commenting here just don't understand the intention of some manufacturers trying to make photographic equipment as compact as possible. A huge and heavy camera does not take better pictures, in case they haven't noticed. Adding extra size and weight to a camera (or lens) would be totally stupid. The less weight and size there is in a camera and lens system, the better it is for the photographer who carries it around for hours. I would say it's more about ergonomics and balance... pertaining to the size. With fast (f2.8 or F4) long glass, there is a limit as to how small the lens can actually be based on current tech. Larger bodies help to balance long glass on tripods. The more front heavy the glass, the longer the ARCA plate... or heavier body required. @dgumshu - It takes very little fore-aft adjustment on an ARCA plate to shift the center of balance. You are really blowing the "balance" issue way out of proportion. As for ergonomics, a good mount (whether it be a gimbal, or a tripod, or a monopod) should allow the big lens to handle very lightly. So the ergonomic demands don't necessarily grow proportionally to the size of the lens, hahaha. Plus, let's not forget that these cameras also have battery grips available to them. So it's just not as big a deal as you make it out to be. The entire "mirrorless is smaller, lighter" debate is pointless when the lens is bigger than a chevy truck. Does this mean Sony will soon overtake Canon as the leading sports photography tool of the pros? In a word, "No." Pro shooters are creatures of habit, more so than most people. They stick with what works for them until it no longer works. Many must rely on OOC images to earn their living, and Canon's color superiority wins that argument. Most of all, once a steadily employed pro shooter becomes accustomed to the ergonomics of one camera make, he doesn't have time to learn another. I knew studio pro (portraits and weddings) who used a Speed Graphic. He finally bought a Hassy, but refused to use it for his bread and butter until he had A YEAR of hobby shooting. He couldn't chance fumbling for a control when a "big money moment" happened in a wedding. Most pros won't switch until they absolutely have to. The practical differences between Sony and Canon are so slight no one HAS to switch systems if they depend on photography to earn their living. 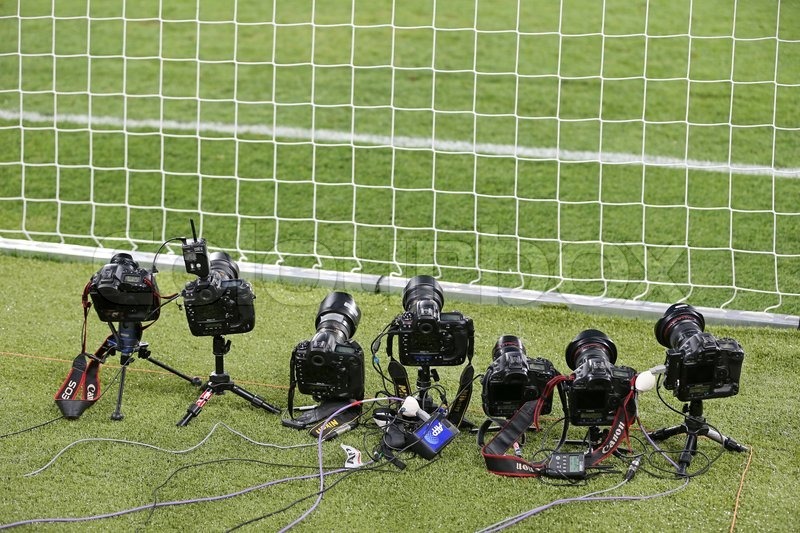 A lot of sports photography is now done with remote cameras. For example, pro sports photog Bill Frakes shot the Kentucky Derby with 41 DSLRs, almost all of which were set up and shot remotely, with just two of those cameras in his hand. What's the point of having a full-sized DSLR if all it's doing is sitting somewhere remotely, being triggered by a radio remote? Mirrorless cameras are cheaper, lighter, faster, and more compact. As old DSLRs wear out and get retired, they'll be replaced by cheaper, lighter, faster, more compact mirrorless bodies. Since these remote cameras are all manually focused to a fixed position, you can still use your existing lenses with it. Just get the appropriate adapter. And ergonomics are certainly not an issue with remote cameras, hahaha. The reality is that mirrorless bodies like Sony's don't require a full "switch", like with camera systems in the past. Also the color argument died with the new color science Sony introduced with the a9, A7rmk3, and new a73. Canon is great but nothing about these new Sony bodies prevents them from being used for editorial work. The ruggedness of the bodies perhaps, but I recently visited Alaska with two a7s2 bodies and simple plastic sleeves keep everything perfectly working in horrendous wind and rain. Glad you Sony fanboys are so convinced of what you believe. Just do me a favor: let me know when you have evidence of an actual mass exodus from Canon in favor of Sony. In the meantime, pardon me if I don't hold my breath. I use Canon as well. Nobody cares about a "mass exodus" leaving Canon. If Sony can push the industry, we all benefit. Don't be a coward and troll other brands if you are unable to appreciate the innovation they offer. Additional choices for consumers is always a big win. Hey, I'm all for innovation and I applaud Sony's efforts. I do not, however, applaud delusional thinking. If a Sony fanboy wants to proclaim that his brand is the most innovative, he'll get no argument from me. But it's something else altogether to proclaim that because if it Sony is going to topple Canon from its throne. That's delusional thinking IMO. Anybody who uses the word 'fanboy' is trolling and flaming. You used it twice. The term is Sony user. Just as you're a Canon user. We all love our own brand - that's why we bought into it. You also mentioned 'delusional thinking' twice. People who think differently from you are not deluded, they just have a different opinion. If you'd bothered to read my profile you'd know I own both Canon and Sony. @landscaper1 - Back in the late 1980's/early 1990's when Canon EOS was relatively new (after Canon dumped their entire FD system), Nikonians were saying EXACTLY the same thing about Canon EOS as you are saying about Sony now! "Does this mean Canon EOS will soon overtake Nikon as the leading sports photography tool of the pros? In a word, No." Well, guess what? Canon did overtake Nikon. And all of those Nikon naysayers are eating crow. That's why you have to be very careful about being so certain that the status quo will stay as it is. Things change. Times change. A new generation of photographers replaces the old generation. And that new generation might have their own preferences, or may not be so married to a particular brand like the older generation of photogs might be. You're obviously an older guy-- a grumpy smug old shortsighted guy who thinks that nothing will ever change, just like Nikon users back in the late 1980's/early 1990's who dismissed the upstart Canon EOS system. @@landscaper1 - Also, it's a LOT easier for a Canon user to switch over to Sony than it ever was for anyone to switch between Canon or Nikon. There was no cross-compatibility between Canon or Nikon. But these days with smart adapters, it's a different story. A Canon user can get a smart adapter and still use all his EOS lenses on a Sony mirrorless body, with full compatibility. That makes transitioning over FAR less painful than in the past (i.e., switching from Nikon to Canon, or Canon to Nikon). Right now, there are only smart adapters for Canon EOS-to-Sony E-mount, but I think it's only a matter of time before a smart adapter for NikonF-to-Sony E-mount is introduced. So the barrier to switching is a lot lower than in past decades. At least for Canon users, you don't have to dump your entire EF lens collection in one fell swoop of you buy a Sony body. Just get a smart adapter. Then replace your lenses at your own pace. What has me reading your profile got to do with you being polite? T3... Canon overtook Nikon for one reason. Marketing... Walter Iooss got paid by Canon to switch in the early 80's. Canon advertising featured Iooss, and Manny Rubio, who changed for the same reason. The ads led to an exodus from Nikon by many. I knew several who switched, just because Walter switched. I worked a lot of NFL, and MLB, and knew Walter and Manny. Most people here are too young to know what happened, and how Canon (much larger company than Nikon) was able to convince many to give up Nikon. I never switched, and Nikon has served me well. Remote photography is just that... remote. you don't have real overall control like hands on. It has its pourpose, but it's not the mainstay. As far as mirrorless goes, it has it pourpose too. However, it doesn't necessarily fit all genres and is a matter of personal preference. It has benefits, but also has cons. It is not the holly grail. I have one, but much prefer my DSLR's because they are much more versatile going from wide angle to Native super telephoto lenses. To each his own. 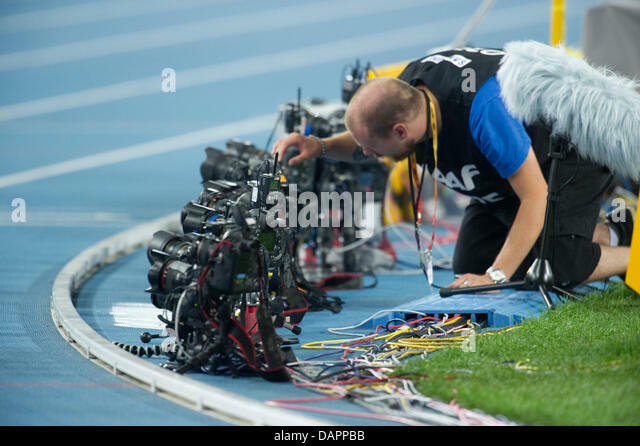 @dgumshu- But the reality is that at LOT of sports photography is now being done with remote cameras. And you don't need a big, fat DSLR with an OVF and reflex mirror for that! @dgumshu -- BTW, to say that mirrorless cameras don't fit "all genres" of photography is rather absurd. I'd say it fits BETTER in a lot of genres than a DSLR. Totally silent shooting is waaaay better for shooting in any quiet environment. Smaller camera size is less obtrusive and noticeable. High fps at low cost opens up more possibilities for more shooters. My $500 A6000 shoots at 11fps! Face and eye AF through the viewfinder is soooo much better for portrait and people photography. Wide area AF point coverage is also a lot better for tracking action throughout the frame. Once you get used to having AF points across the entire frame, with face and eye AF, it's hard to go back to the limited focus coverage of most DSLRs. T3... , it's obvious you're not a sports or wildlife shooter. Your comments say it all... a dead giveaway. When was the last time you attached an 800 F5.6 to your A6000... or any other mirror-less for that matter? Yeap, that's what I thought :-) NOT as versatile as of yet. Perhaps someday. I can attach the cheapest Canon DSLR to one, though... along with the widest fish eye. Mirror-less and EVF has a long way to go. If you can't focus on a face for Still subjects and need the camera to do it for you, I don't know what to tell you. Perhaps the next mirror-less will have voice command. @dgumshu - When was the last time most photographers even used an 800/5.6, if ever? It's an extreme minority. If that's the straw you're grasping at, you're seriously getting desperate. BTW, you don't seem to know adapters are available that allow DSLR lenses to be used on mirrorless bodies. Canon, Nikon, Sony all have DSLR lens adapters for their mirrorless bodies. Canon lenses can be adapted to Sony bodies too. Like it or not, mirrorless is the future. Canon/Nikon will soon be all in on it. T3... You didn’t answer the question. My guess is you haven’t used any supertele on your mirror less… anything from 400 – 800mm for shooting sports or wildlife. It hasn’t happened as of yet. So no, it’s not good for all genres. But Sony is working on it. Adapters are just adapters. Don't expect them to works as well as native connections.... and they don't work with all canon lenses. My 400 DO ll for example works to some degree, but nothing I could count on for action. My brother used mine on his A9 with an MC 11. It’s limited in functionality. So why bother with an adapter. I know all about your EYE focus. I have Eye focus on my mirrorless and never use it. If it works for what you do, great. However, I find that It's absolutely useless for what I do… and many others. What works for YOU does not necessarily work for everyone. It’s not all that difficult to understand. Do you think everyone shoots the same way or needs the same gear? I think you do. @dgumshu - In a couple years, all your words are going to seem like the rantings of a curmudgeon, and sound very quaint. The Sony FF mirrorless system was first introduced in Oct 2013. The system is only 4 yrs old! And yet, people like you are ranting that it doesn't have every lens under the sun yet? LOL. Come on, seriously? With every passing year, curmudgeons like you lose one more thing to complain about with mirrorless. The reality is that every system takes time to grow. No system starts out complete! But look how quickly mirrorless is coming along. Lenses and bodies get added. That's what's happening. The latest Sony A7III has 693 AF points covering 93% of the FF image frame, does 10fps, has IBIS, has face/eye AF, shoots 4K, for just $2K. That's what DSLRs are up against. Canon's latest 6DII falls far short of any of these specs/capabilities. It's not even close. Canon/Nikon mirrorless systems will also go through their own growth phase. But it's the future. T3... you still haven't answered any questions... just excuses. You keep going on about mirrorless, yet you have no experience with other gear. What makes you qualified to judge something you know nothing about? Specs? No, I haven't put an 800mm lens on my Sony mirrorless. But you can bet that there will be people doing so in the near future. Some of them will be using Sony OEM lenses. Some of them will be using Canon EF lenses. Some will be using 3rd party options. There will certainly be options. The notion that mirrorless can't do super telephoto is simply absurd. It will happen. Like I said, with every passing year, curmudgeons like you will have fewer and fewer things to whine about regarding mirrorless. These system will continue to mature, become more advanced, and gain new users. Mirrorless will be going strong long after you've passed. 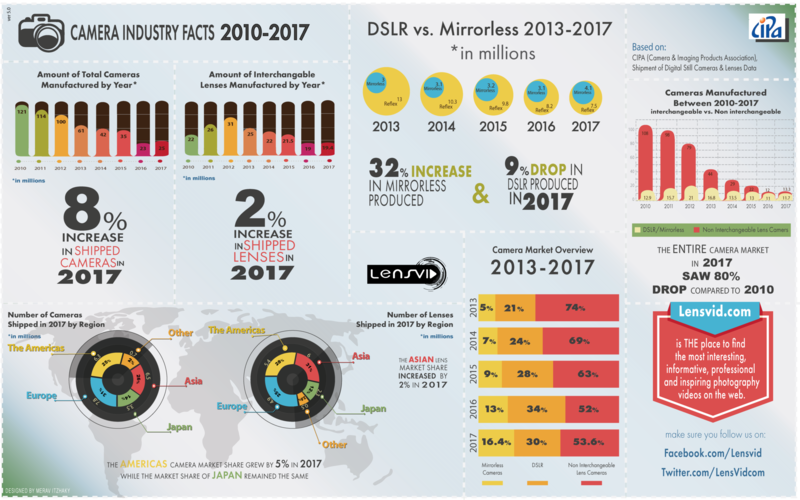 Between 2016 and 2017, mirrorless jumped from 3.1 million to 4.1 million shipped. Meanwhile, DSLRs declined: from 8.2 mill to 7.3 mill. The trend will accelerate once Canon/Nikon jump in. And they'll all have telephotos! LOL. T3... so you have no experience with long lenses. That's what I thought. And now you're predicting the future. Also, I didn't say mirrorless can't do long teles... it just hasn't happened as of yet. The 100-400 is all there is. And it's not for everyone. Pretty simple. What you're saying is that my mirrorless can replace my DSLR to do everything... absolute hog-wash. You should visit the Canon and Nikon forums to discuss that. 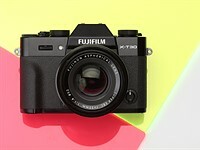 Yeah, they're working on mirrorless, but I won't buy another until they SOMEHOW do away with that EVF. Looks absurd. At least add a camera grip. Why? You wouldnt hold it by hand anyway. Monopod is mandatory. 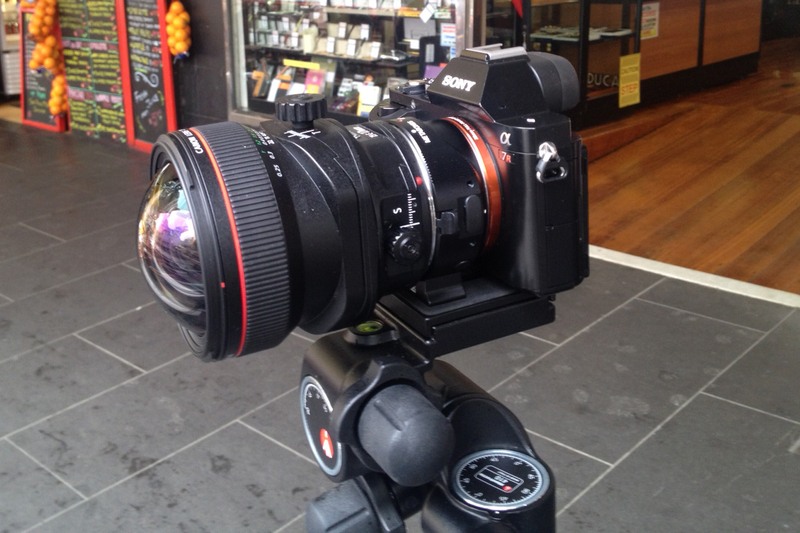 Just looks as absurd as those walking around with huge DSLR cameras with small lenses! Why does it look absurd? By the time you get to a lens that big the size difference between a Sony and Canon is meaningless anyway. I have no idea why this non argument persists. Why would anyone think the aesthetic effect of body to lens ratios had any meaningful significance? Where is it set in stone that a camera body has to be a particular size? I'm pretty sure they had super teles before camera bodies swelled up to the size they are today. You would need to feed it a LOT to get to 400/2.8! Funny how there are so many negative and sniping posts about this lens. There aren't many 400/2.8 lenses in the world. Should the appearance of a new one elicit derision? I don't think so. I don't see any negatives here at all, period. it's the usual troll-fest, from insecure dslr owners who feel threatened by modern technology.... see the comments a few posts down, they can't even cope with a few switches on the side of a lens. I guess it's been a tough week if you hate Sony and you want them to fail. i don't use sony cameras but that little camera on the back of this big lens sure look like an end cap, completely out of proportion ;-) lenses like this sure need canon's 1Dx or nikon's DxS professional bodies, IMHO!!! hence, it will not draw professional appeal with that tiny camera, unless sony decides to produce this lens with canon/nikon mount! ;-) good luck, sony! PERHAPS, eventually, Sony will come to their senses and realise that they need to make their pro-market cameras with big, chunky, properly weather-sealed bodies and widely spaced controls so we can operate them with gloved hands on cold wet days. That's not meant as an anti-Sony comment, it's a plea from a Canon owner who would love to take advantage of Sony mirrorless features, but needs a pro body the size and weight of a 5DMkiv or D850.....! Oh boy, how's life in the early 20th century? Did you get one of them electric ice boxes yet?!? neod - It's the early 21st century, not the 20th - it's you that's 100 years out of date buddy! sillen - I use Canon DSLRs but I've tried many mirrorless cameras including a7Riii so I'm pretty up to date on the relative merits of both types of camera. Too many idiots around here think that what they chose must be the best, and that what someone else chooses must be terrible. There are many types of camera and each has its own advantages and disadvantages. Eventually people discover that fact - its's called growing up. Minolta/Sony shooter here and I must say I was hoping that the A9 was larger than it is (and apparently better weather sealing as well). Small bodies can be great (I have an A6000) but I agree that larger bodies with large well spaced controls can be better in certain situations such wearing gloves and using larger/heavier lenses. Mirrorless isn't all about size and I hope Sony realizes this. It doesn't have to be bigger than it needs to be but it shouldn't be smaller either. fyburne - I'm glad to hear you say that. Sony needs to realise that pros need and want sensibly proportioned cameras with widely spaced controls, "bullet-proof" build quality and much better weather sealing. The overall design and layout of the a9 is extremely good, but it really needs to be a bit chunkier. I don't think Sony will want to abandon the current a7 and a9 shape and styling, but hopefully they'll consider bringing out an additional E-mount body that's closer to their a99ii in ergonomics. ... and before anyone joins in and points out that the a9 and a7Riii can be made bigger by adding a grip - that doesn't solve the problem of controls that most DSLR users would regard as too small, too close together and too fiddly in operation. I swear you people have never seen a camera made before 1980 otherwise this absurd notion that current DSLR bodies are the "right" size wouldn't exist. fatdeeman - Well I've used just about every brand and type of camera made since about 1960, when as a kid I was given a box brownie - twin-lens reflexes, rangefinders, SLRs, field cameras, industrial process cameras, DSLRs and mirrorless. So I've seen rather a lot of cameras "made before 1980". For amateurs, what constitutes the "right" size (or type) of camera is largely down to personal preference, and many like a small lightweight camera as they don't want to lug heavy gear around. Very understandable! But pros working outdoors in all weathers have different needs. Their cameras get knocked and bashed daily. So they have to be beefy enough to take a few hard knocks. They need to be well balanced when using heavy lenses. They also need substantial grips so they can easily be operated when hands are hot and sweaty, and widely spaced controls so they can be used when cold and wearing gloves. What do cameras made before 1980 have to do with anything? The comments were with regard to professional photography in harsh conditions with big heavy lenses. One would have to assume that some improvements have been made since 1980 - one being improvements in handling. If there was some magic formula in the past that allowed small bodies to have better handling than today's cameras I would like to know about it. The Next version of the A9 will be bigger because it will use XQD cards. Sony's body cap camera. ;) Less than half the size, and 1/6 the weight of the A9! Filters - gotta have a filter drawer. It will also toast a small piece of bread if you know how to set the switches. Just one of those little extra touches that Sony likes to include. Could set a new trend. Instead of photographing through a pin-hole, Sony users could photography through a toast-hole! @entoman - I've wanted to do that for some time now. I'm glad Sony knows the heartbeat of us photographers. Sony's on a roll. They want those sports shooters. Take this puppy into space. Yikes! From the photo above it seems that that lens has no less than SEVEN identical switches, and a push button, grouped together on the left of the barrel. What on Earth do they all do? They don't appear to have any markings to indicate their functions. Please don't tell me they each have 379 user-programmable functions! @entoman ... sure, all those buttons are programmable, so you just need to add stickers (with function description) of your choice. Simple as that! NikonD800Es - or utterly amazing muscle memory! It's still much easier then playing piano! Maybe they're used for testing and won't be on the production units. Nikon800Es - Ah! Now I get Sony's cunning plan. Those actually ARE piano keys, and the idea is that you play a bird-calls on them in order to attract your avian subject within range! Wrong, to the contrary, production units will have three additional buttons atop current seven, just in case of need for a triple redundancy in the field. This will be great for portraits and candids. The bokeh will be awesome, I can't wait for it to be available. Anybody pre-order it yet? Candids? You plan to hike around the streets carrying that thing? Or will you spend all day on a seat and just pick off people as they walk past? With a fixed focal length you'll be pretty restricted regarding camera-subject distances if you have a human figure of similar size from frame to frame. ... er, and how are you able to predict what the bokeh will be like, whan the lens isn't even released yet? sfft - Yes, either a troll or someone who has too much money and hasn't got a clue about photography. Or maybe just a very weird sense of humour. Canon, Nikon and Pentax have had decades to build up their very thorough lens systems. Sony has only been in the FF E-mount arena since October 2013, and have done incredibly well to build up such a good lens system in that very short space of time! They quite sensibly brought out the more popular focal lengths first, because their first a7 cameras were not really targeted at pros. I do actually realize it's been the 21st centuary for quite some time. cosmicnode - .... that should be "century" NOT centuary. It's the 21st century not the 20th "centuary"
... or did you "actually realize" that too? Sorry teacher, Do I have to stand in the naughty corner? Graham - You say that your GMs are sharper than your old Canon Ls - I can't comment on that, because I don't have a Sony or any GMs to compare. But, I do wonder whether the increased sharpness that you perceive is due to the lenses, or due to more efficient image stabilisation in the Sony. Test charts don't seem to show any appreciable difference between GMs and Ls, although logically the GMs should be better, as they are mostly much more recent designs. .... just like your comment. 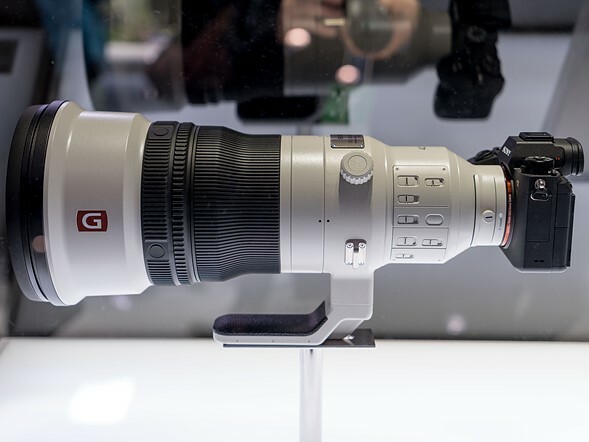 The lens will be awesome - but so much for "Mirrorless is so much more portable"! If you're a sports photog traveling with a dozen camera bodies, yes, mirrorless is more portable. For example, pro photog Bill Frakes covered the Kentucky Derby with 41 DSLRs! Most of them were set up and shot remotely. 41 big, fat DSLRs takes up a lot of space, and weigh a lot. Mirrorless bodies are significantly smaller and lighter. What's the point of having a full-size DSLR if all it's going to do is sit remotely mounted somewhere? If you're that kind of sports shooter, you have assistants. You also do not commonly have to move THAT often for a lot of sports. In honesty, few users of that lens will not have a battery grip because if you need that lens, you won't want to be running out of power mid shoot. Is that teeny tiny black thing on the end the camera? ...they should just build the sensor into the lens... done! It would take much better photos if the camera were 50% bigger. Sony already did that. QX1. 50% bigger? Add a battery grip. Ta-dah! You understand that a Canon camera looks exactly the same on the back of a 400/2.8? A bit of a troll comment, but nevertheless true. Looks smaller, lighter, and whiter than Canon's own 400 f/2.8!!! But looks bigger and less well balanced with a small lightweight body glued to it. No, at that size and weight, even a medium format DSLR wouldn't be able to balance anything out. You use monopods with these, which balance things out just fine. I find that hard to believe, will see. I guess the weight will be about the same, +/- a few 100 grams. WongFeiHong - Why are you and so many others under the illusion that Sony FF lenses are smaller and lighter than DSLR lenses? A full frame lens is a full frame lens, and weighs as much as a full frame lens. With mirrorless FF, it's only the body of the camera that's lighter, not the lens. In the case of big optics like this, that is actually a disadvantage, because the overall weight difference is negligible, but the smaller body makes the set-up less well balanced. Mirrorless can save some space. Ignoring collapsible lenses, this is especially true in the wide angle regime, where you need less of a retrofocus group (gives more vignetting though) or can move the retrofocus group into the space that would normally be occupied by the mirror box. Arguably, you can also use that space for a telephoto group, but for a lens this long and this bright, those 20mm are really not gonna save you anything, neither money nor size. @entoman - I am not as your thoughts were and stop taking other people in it. You didn't get my sarcastic comment and I know the physics ... peace out. "... curiously, unlike other super telephoto primes, it seems that while the Sony 400mm F2.8 will accommodate small drop-in filters in a tray near the lens mount, they're 'dropped-in' sideways"
Most probably to not interfere with a flash mounted on the camera. So what is the advantage of a FF MILC system over an traditional FF dSLR? More accurate focusing, higher frame rates, and reliability to start with. But I guess we'll see about reliability since the A9 is still fairly new. More accurate S-AF focusing if the DSLR lenses are not "micro-adjusted". High end DSLRs like Nikon's are more reliable for tracking subjects and maintaining reliable autofocus though. In low light the tiny OSPDAF pixels tend to not do as well either. The other point about these high end components Canon and Nikon have larger support systems. Professionals can rent and repair these types of lenses more reliably which is why Canon dominates the market. 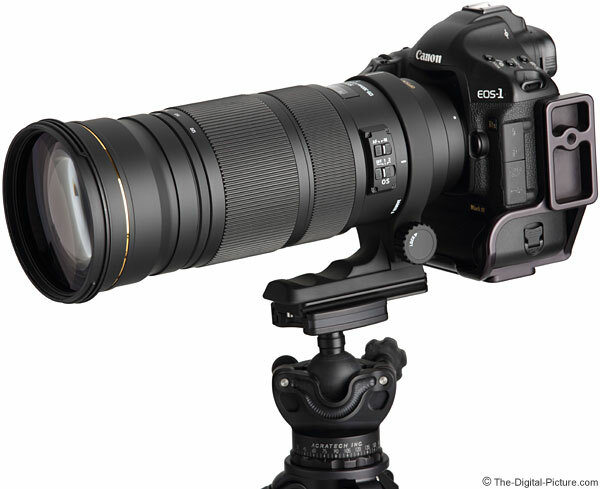 If a Pro needs a Canon 600mm F/2.8 in Green Bay for a game, he knows he can get one. If one breaks, he know he can get it replaced fast. I wonder if Sony is considering making a larger high-end body for these lenses to mitigate the overheating issues. There is no need for such a tiny body. 11) ...... shall I go on? But DSLRs have their own advantages, which is why I still use them. CaptainCrunchy - Yes I really hope that Sony will put their next generation of FF cameras into larger chunkier more comfortable bodies with more widely-spaced dials and buttons. And better weather sealing. Then I'll give up my Canons (......... er, maybe....). "Click through on the above image to see how the Nikon back-focused despite the autofocus point being placed directly over the subjects face. At this particular distance, this happened repeatedly. Not wanting to AF fine tune a lens in the middle of a shoot (seemed rude), I switched into Live View, which uses the main image sensor and contrast detection to focus incredibly accurately, and all was well. Then I moved in closer and resumed shooting through the viewfinder, and lo and behold, the 105mm was tack sharp again. However, repeated testing has shown both that lenses (including our 105mm F1.4) can require different fine tuning for different focus depths. Furthermore, we found the results change, based on whether the lens starts at close focus or infinity: a source of error that calibration can't address." The mirror was never something you wanted to have - it was a compromise that was required for all these years to get a decent preview of what you were shooting. But with current technology it simply isn't required anymore, so it's logical to get rid of it and its complexity and drawbacks. 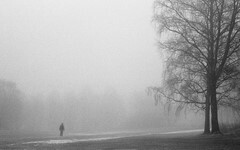 Kilrah - Very true, but no current EVF gives that feeling of direct contact with the subject that you get from an OVF. It's the difference between looking at a scene out of a glass window, and looking at it on a TV. In an ideal world I'd have a DSLR with a hybrid viewfinder. i.e. 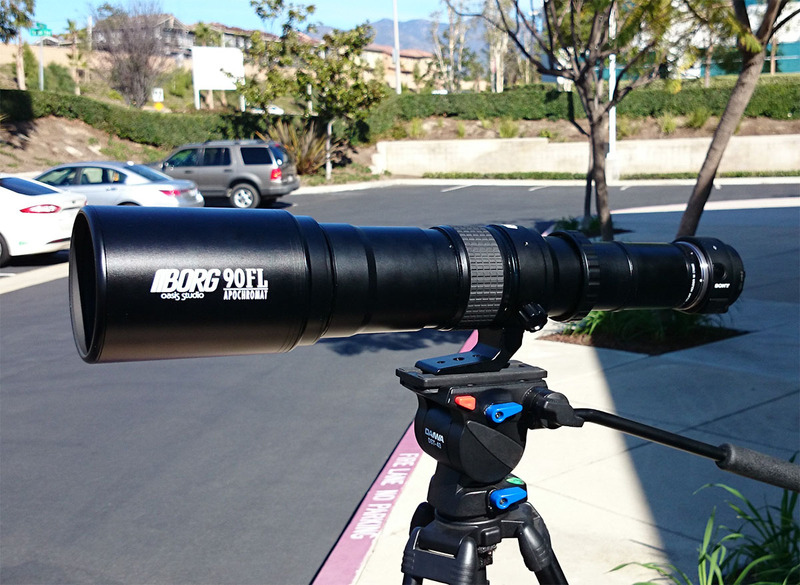 an optical finder using a mirror, plus the ability to lockup the mirror and switch to viewing via an EVF. It's quite feasible to do this by taking the feed from the sensor to an internal monitor, which would be viewed through the OVF eyepiece via a small prism or an overlay on the focusing screen. Canon have a patent on this. "3) IBIS for lenses that are not stabilised"
Pentax K1 stabilises all lenses used with it and is a DSLR. mxx - Yes, K1 is an excellent DSLR and great value. I use Canon 5DS and 5DMkiv, and all my lenses are stabilised, so IBIS isn't useful to me personally. I hope that Canon will bring a hybrid DSLR with EVF, as that would be my ideal camera, and I'm not "due" for an upgrade until 2019 anyway, so it's no problem for me to wait. If Canon fail to produce that, or fail to produce a pro FF mirrorless, I'll probably end up switching to Sony and retaining my Canon glass, but only if Sony produce a new body with better ergonomics and reliable weather-sealing. 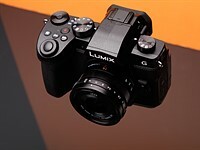 There is still more clarity, less lag, zero refresh and of course much better dynamic range with an optical viewfinder. 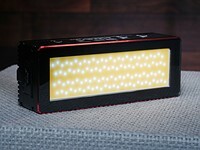 An EVF shows far more information, these days has zero blackout, WYSIWYG and can be used for video. On sensor CDAF for AF-S is more accurate and not subject to error. On sensor PDAF (For AF-C) eliminates one source of error but calibration errors still occur. At the moment it is (Very) slightly less effective than the latest off sensor PDAF but that will probably not last much longer. Some mirrorless cameras have lens fine tuning to correct for this. IBIS is excellent but has weaknesses especially with longer and wider lenses. Best is hybrid with IBIS and in lens stabilisation which this will definitely have. entoman, no question Canon's in-lens IS is good, but if you ever shot a mirrorless that syncs IBIS with lens IS you'd be stunned how good it is. Shooters with the Oly E-M1.2 and the 12-100 zoom can get sharp results with shutter speeds up to 2 seconds. Yes, for real. Not sure if this can be done with a mirrored SLR. Anyway, not trying to sell you on anything. Use what suits you! dmanthree - For me, subject movement is always much more of an issue than camera shake, so I'm perfectly happy with optical stabilisation, although I know others find IBIS very useful. Mirrorless has many advantages as I listed them above (and more) but for me the only truly significant advantages are that mirrorless has a virtually silent shutter, and no mirror blackout or vibration. That more than any other factor is what would tempt me to mirrorless. "Durr... I tawt mirrorless wuz small n light. I was wrong! I was a dum-dum!" dman... you obviously haven't seen this comparison. Although some have said the Sony could have been adjusted better, it is what it is. Also, you really have to like EVF and dealing with an exposed sensor. I don't care for having to swab my mirror-less sensor more often than not. EVF is not for everyone. The Sony does have nice specs, and i'm sure it works well, but it's also a matter of personal preference and what works for the individual. Rolling shutter artefacts in video is an issue on DSLR as well. 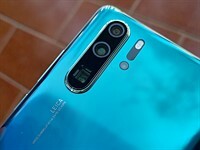 With stills,rolling shutter artefacts are only an issue on mirrorless when using the silent shutter mode, and option not even available to DSLRs when using the eyepiece. Even then, on the Sony A9 rolling shutter artefacts have all but disappeared in silent shutter mode. As far as dropping them goes, there's nothing inherently less robust about mirrorless. Indeed there are fewer moving parts to go out of register. The most recent mirrorless cameras also don't overheat either. 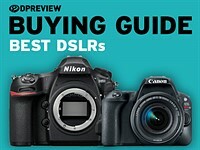 Technology moves on, and will drive DSLRs into smaller niche areas. History teaches us electronics replace mechanicals. Thanks all for the reply's. It's good to see information from both sides. TheEuler - Nice to see your calm rational and informative reply to scokills trolling. @entoman: Sony's A-mount SLTs have all of the benefits of their mirrorless cameras, but in a larger body with longer battery life and better controls. The A99ii is essentially an A- mount version of the A7Rii. thebustos - Thanks, yes I'm aware of that, in fact I very strongly considered buying an a99ii last year, to supplement my trusty Canon gear. If Sony supported the A mount with a full set of modern lenses I might very well have bought one. Unfortunately while they upgraded the A mount body, they failed to modernise and complete the lens range, so users are largely reliant on older (but good quality) re-badged Minolta lenses, and a very limited number of third party lenses. I don't blame Sony for this, as they are quite rightly concentrating their development on E-mount cameras and lenses. Captain Crunchy... "If a Pro needs a Canon 600mm F/2.8 in Green Bay for a game, he knows he can get one. If one breaks, he know he can get it replaced fast." "Canon 600mm F2.8"? Really? How much do you think one would cost, since if one exists, getting a replacement might take years. How much do you think it would weigh? Your fictional Pro, might need a Packer to lug the fictional beast around! One of the advantages of FF body like the A7R2/3 - 400mm @ 42 Mpix, 600mm @ 18 Mpix. Actually, while I think about it, imagine how good the D850 is for users of these long lenses. It's almost like a 600 for free! Master must be the first buzzword of 2018. Last year was AI, deep learning and in 2016 we had disruptive! Maybe, but now it is Artificial Master with Disruptive Intelligence. Much more powerful and catchy at the same time. T Oliver, maybe they should have consulted Stan Lee for some advice on naming. And while I'm fake-whining about names, Tamron could have used some serious help with their new line of lenses; "Opera." Really? I would have gone with something like "He-Lens, Master of All Optics." You guys wouldn't be satisfied until cameras are the same size as super telephotos! Maybe you should mount a 4x5 field camera or a 645 medium format DSLR to a super telephoto, hahaha. Surely from what I read everything that can be done with this lens could be done with a crop of an RX100 image. A Nikon P900, from what I read. Sigma will probably release the E mount 500 F4 before Sony gets off the ground with the 400 F2.8... for a lot less too. The Sig 500 F4 has more resolving power than my Canon 500 F4 ll. It has stellar reviews and I've seen results for myself. Consequently, I'd have to disagree. Additionally, their ART lenses are very popular for sharpness as wel these daysl. Sig will give Sony a run for the money... literally. I guess imitation is really the sincerest form of flattery. It is a white 400mm lens, so of course it is imitating the Minolta AF lenses of days gone by. I wonder what the “G” moniker stands for? @withoutid, we appreciate your sharing of knowledge, but could do without the snark. You never know who's having a sh*tty day. @piratejabez: I am sorry for your sh*tty day. So far my day's about average. I was referring more to the OP (and the community in general), who seemed to be expressing humor in addition to his question. I don't necessarily read these comments to lift my spirits, but I think we could do well to cut each other a little slack. Myself included. I'm glad that you had an average day. Please go back, read the original question and tell me if the OP was genuinely seeking for an answer or making a mock? My reply was perfectly tailored to his question. He's clearly having some fun, as I noted. In any case, does he deserve ridicule? There's a difference between poking fun at a brand (which is par for the course here!) and being rude to a real person (which is pretty much almost always uncalled-for). Thank you for sharing your ideology which is not shared by me. For me, there is no difference in "poking fun" at people/party/organization and so on. If you are trying to make a mock, expect that you will get one, simple as that. Have a nice average day. Lenses like this are why crop sensors were invented. If crop sensors were the answer, there would be no need to make a lens like this. You can't ignore actual advantages of FF sensors especially when it comes to sports and wildlife photography. Well, if you're shooting for web or print, do you really need FF? dman... all you need is what fits your needs. However, there is a stark difference between crop and FF for people wanting clean images. I doubt if I'll every buy another crop... unless they improve and meet my needs. 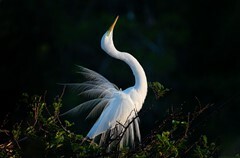 I use 1000mm f/10 lens with crop camera! Too all those that worry about color, if you invest in this lens, you will probably buy a camo lens coat and never see the color again. One day I'll have to try one of them Sonys out. A great leap forward for Sony. Love the colour! The Sony crowd: WOW! A 400m 2.8?! So long! So fast! Sony is on a roll! This will be the game changer for all of photgraphy. The SLR is dead, now all the pros will be using A9s. Nikon will be going out of business tomorrow, just like we’ve been saying for 5 years now. And your point is??? 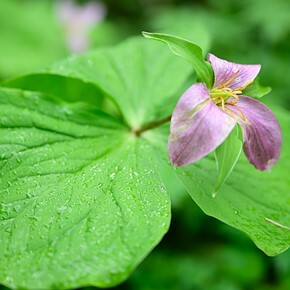 Sure we can adapt Canon glass to our Sony cameras, but it is better to have a native solution. Just because you don't own a Sony or don't need a professional fast tele lens you feel confused? I think his point is, it's nothing new, some people have had lenses like this for a long time. Maybe we can get DPR to add the phrase game changer to the curse word list? Of course we have had great 400/2.8 lenses for decades now. Such a new design still shows a strong commitment by a brand to their camera line up and the field of sports photography in particular. As a Pentax user the 400/2.8 reminds me of a better time for the brand, so I can understand the excitement of the Sony users. If this lens is anything like to Sony F4 and I suspect it is, early adopters will be lucky to get 50% of their money back on which they will finally decide to grow up and learn to use a Nikon D850. Munchma: it's quite amusing how the trolls make themselves so obvious. Yes they are annoying with their little comments and facts and stuff. There ought to be a law. "The white lenses are all large super-telephotos. There is a good reason for this. Lenses contain glass elements. These expand with heat. This is not usually a problem with compact lenses − the amount of expansion is small. But large lenses contain large elements and here expansion can bring a lens close to the limits of its design tolerances. A white surface reflects sunlight, helping to keep the lens cooler. Incidentally, you will find that the manual focusing action of some black lenses allows focusing past its infinity setting (sometimes called over-focusing). This is also to allow for expansion. 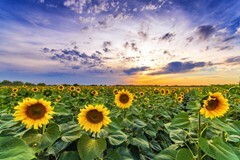 If the lens is used in hot conditions, infinity focusing will be closer to the end of the travel." Now that explains why the black 800mm Nikon lens does not work! Did anyone claim that Nikon teles don't work? Minolta "invented" the white for tele and Sony inherited it from Minolta. Personally, I find black more classy, but who cares? It's just a tool. The coefficient of expansion and contraction of glass lens elements is less than the aluminum or magnesium housing. So, heat or can cause problems in lenses where there is no compensation and the aluminum shrinks or expands to a greater degree than the glass. This is why telescopes which use large optics either have compensating cells which hold the elements, or there is some slack built into the design. I suspect heat causes other problems in lenses as well. Nikon, Pentax, Minolta, Olympus, Leica, Zeiss-Hasselblad all have, or had tele lenses with a white or silvery finish. Canon, however, might be more interested than other manufacturers in lowering the temperature of big lenses that could remain exposed during hours to high ambient temperatures and harsh sunlight e.g. during summer sporting events. 1) a thermal expansion coefficient that could be twenty to several hundred percent larger than optical glass. 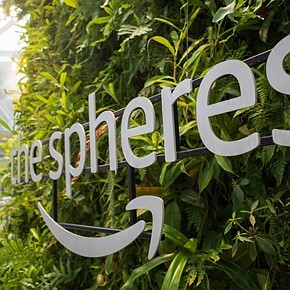 Imagine a transparent sphere made of optical glass. If it expands due to heating, its radius of curvature expands. A convergent lens whose radius of curvature expands will be less curved, i.e. gets closer, at the limit, to a flat sheet of glass, and thus becomes less convergent — i.e. thermal expansion (a dimensional effect) causes the focal length of a convergent lens to increase. 2) a refraction index whose temperature coefficient may be double or triple that of optical glass. As a fluorite lens is heated, its refraction index diminishes much quicker than optical glass subjected to the same treatment. This effect, of an optical nature, decrases a convergent CaF2 lens' power, and therefore increases its focal length. The dimensional effect 1) and optical effect 2) compound, and may thus well create effects on the complete lens' optical formula that are larger than would be observed with an optical system made of more thermally stable optical glass elements. I'm excited to see it in action on youtube reviews, hopefully compared against the CaNikon rivals. I finally understand why fans claim that Sony is a cutting edge designer that pushes the envelope. They almost finished the design of a 400mm f2.8 !!!!!! I wish Canon and Nikon could design something like that!!!!! I wish that that Canon and Nikon could design a decent mirrorless camera. How many years did it take Canon and Nikon to bring this to market, and how many years did it take Sony, who had their first full frame camera out just 4 years ago? This is nothing about fan or not (yawn).... competition is good. Even if you are coming from Canon or Nikon, right?! Sony had their first "full frame" digital camera out over a decade ago (A900) but have also had a 500/4 lens available for all that time too. If you can afford it, it also works on the A7 series via factory adaptors. I guess Sony users will say the same when Canon makes a decent sensor or introduces proper 4k video. Wake up! While you've been sleeping, Canon have been making some excellent sensors. Uh, their sensors may be better than before, but nowhere near Nikon/Sony/Pentax/Fuji. They're a generation behind, and it shows. Is size really that important to you? And remember, you have to figure it's going to be 25% longer with the lens hood attached. Welcome to the big city. Would it be any easier to handle if the camera attached to the lens were bigger and heavier? Just wondering.... you are not going to hold it one-handed by the camera grip, right? If the small camera performs better or on par, and is cheaper, what's the problem? That's why we have tripods, monopods, and tripod collars. No need for a giant camera if all it's doing is hanging off the end of a big lens that is mounted on a tripod or monopod. Of course there's a need for a giant camera. It helps compensate for other shortcomings. A big camera is nice for putting big buttons on very handy places so that you can shoot fast and not miss the shot because one of your fingers just missed a mm and pressed a tiny button when should have pressed another tiny button next to it. @Azathothh - the buttons on a Sony A7/A9 aren't really any smaller than they are on a DSLR. You act as if DSLR buttons are big Fisher-Price buttons, hahaha. I can honestly say that I've ever paid any attention to the ratio between a camera and lens. It seems like a really artificial criticism to me. It's like saying "that little drill bit looks ridiculous in that big drill"
Maybe a new color instead of canon white.So 1980s. As i explain above, it should be striped. Nothing else will do. Don’t know about thermal stability issue,just the white lense and look of Canon/Nikon with the little red strip could be updated by getting in a talented designer.Hassleblad comes to mind.